Blabbing about Instagram is definitely my favorite thing to do. 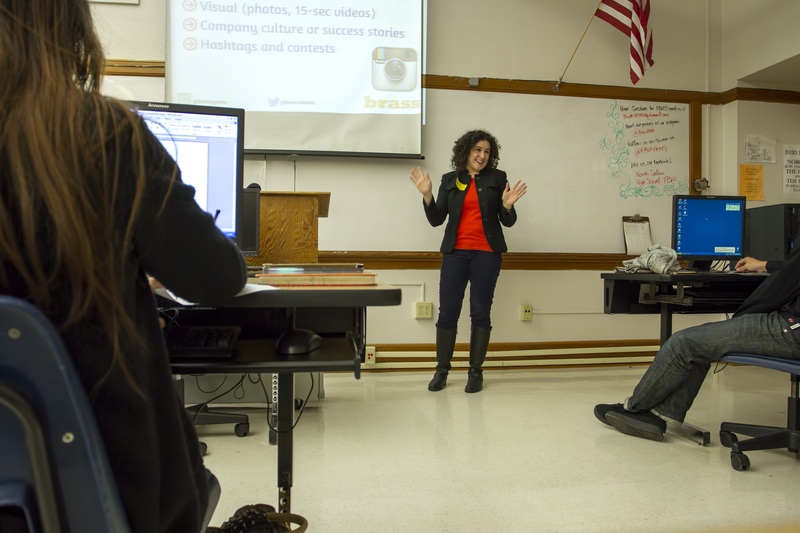 Yesterday, I repped brass Media while giving a presentation about using social media for business to North Salem High School’s Future Business Leaders of America student group. It was a lot of fun, and so exciting to see the next generation of those interested in business! Photo by Devin Simpson for brass Media. Posted in Articles + Talks and tagged community outreach, FBLA students, North Salem High School, social media for business, the next generation on November 21, 2014 by Fatemeh Fakhraie.